EA Sports will release the FIFA 18 TOTW 13 Lineup this evening, have you prepared well for this ultimate team? There’re numerous ways to improve your squad, but to buy IF card is the most stupid that I will never recommend you do that. If you get one or two IF card from the ultimate packs in the FIFA 18 Ultimate Team mode, you can sell them in the transfer market according to your squad if you’ve already got decent player at the same position. If you are seeking for a decent-price IF player, Jermain Defoe will you're your first choice! He’s now 80 rated so his price won’t be too high. Also, as a sacrifice, his pace isn’t decent too, which is the most important stat for a striker. Just allocate him at the deep front of opponent’s field, and make a long pass for him, then you can easily score by his 88 finishing, and 90 shot power. Incredibly, he made double goal on Saturday’s 2:2 draw with Crystal Palace in Premier League, and became the man of the match with 80 mins attendance. 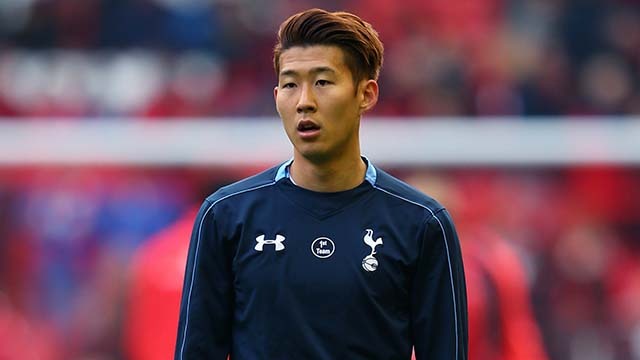 Son is awesome, that sounds awkwardly but Heung Min Son is really awesome! As a 83 rated midfielder, he should has 88 pace and 86 shooting in FUT 18! Despite of his ridiculous 27 defending, he’s a really worthy choice for you, if you can exploit his decent 91 long shot and 82 stamina well. Saturday’s 5:1 win is the third match that he constant deliver goals into opponent’s net since Dec 2. He’s the man of the match, scorer, and assistant in the match and in Tottenham. He likes to cut inside and make counter attack threat on pitch. If you see him, just let him know I’m a big fan of him! Thank you! Buy Cheap FIFA 18 Coins, Safe and Fast, from mmovip.net! Never spend your money for the game, the in-game cash shop is blood-sucker.